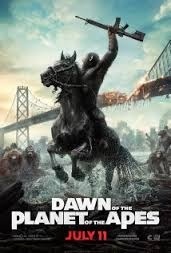 I would like to see Dawn of the Planet of the Apes, the sequel to Rise of the Planet of the Apes, which stars Andy Serkis, Jason Clarke, Gary Oldman, Keri Russell, Toby Kebbell, and Kodi Smit-McPhee. It is directed by Matt Reeves and written by Mark Bomback, Rick Jaffa and Amanda Silver. following The inadvertent release of the deadly Simian Flu ALZ 113 virus , the human race gets pushed to the brink of extinction luckily The remaining human population develop a cure for the virus and are now living in a guarded tower within the ruins of San Francisco. Meanwhile the apes Caesar and Rocket have established a thriving colony of apes in Muir Woods just outside San Francisco. However, Caesar’s son Blue Eyes and Rocket’s son Ash encounter a human who panics and shoots Ash, wounding him. This leads to increased tensions between the Apes and the humans, who are subsequently banished from Muir Woods. Caesar later enters the city with a band of Apes including a mistreated Bonobo named Koba who holds a grudge against humans, and orders the humans not to enter ape territory again. Later The humans attempt to reconcile with the apes in order to gain access to a hydroelectric dam in their territory, which could provide long-term power to the city. So Caesar allows work on the dam’s Generator and While fixing the generator they bond with the apes. Caesar’s ill wife Cornelia is also treated with antibiotics and the dam is eventually repaired, restoring power to the city. The humans then discover a hidden weapons cache and decide to arm themselves. Unfortunately so does Koba, who steals an assault rifle and starts killing people before seriously wounding Caesar and taking charge of the apes. Koba then orders the apes to clobber all humans, so his followers raid the hidden armoury, overrun San Francisco and imprison all humans. However some humans manage to escape the carnage by going underground, and Some apes remain Loyal to Caesar, who is later discovered by the humans and given first aid for his wound. Blue Eyes then frees the caged humans and the other apes loyal to Caesar before they go off to confront Koba and his followers. The humans then learn that there are more human survivors at a Military Base who are on their way to help fight the apes, leading to an exciting conclusion. I would like to see Guardians of the Galaxy again, which was recently released onDVD. The film is directed by James Gunn, and stars Chris Pratt, Zoe Saldana, Dave Bautista, Vin Diesel, Bradley Cooper, Lee Pace, Michael Rooker, Karen Gillan, Djimon Hounsou, John C. Reilly, Glenn Close, and Benicio del Toro. It starts In the far reaches of space, with an American pilot named Peter Quill (Chris Pratt) being pursued by the villainous Ronan (Lee Pace) for stealing a Cosmic Orb. 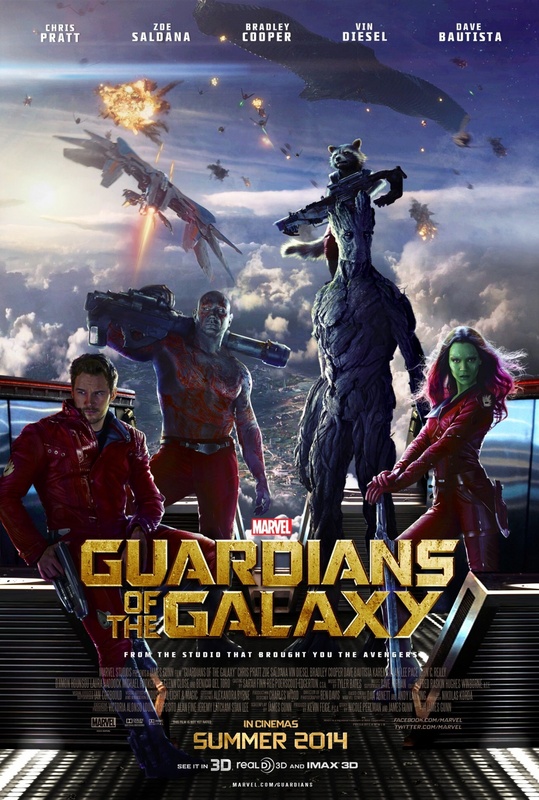 In order to evade Ronan, Quill takes on the identity Star Lord and forms an uneasy alliance with a group of misfit heroes including Gamora,(Zoe Saldana) Rocket, Drax the Destroyer,(Dave Bautista) and Groot (Vin Diesel), who soon find themselves hotly pursued by a number of Villains including Ronan, Nebula (Karen Gillan) and Yondu (Michael Rooker). However Quill gradually discovers the true power of the orb and the menace it poses to the cosmos, should it fall into the wrong hands, so he decides to rally his mismatched group of heroes for a last, desperate stand against the forces of evil, led by Ronan, knowing he holds the fate of the galaxy in the balance…. I would like to listen to Monuments to an Elegy, the upcoming tenth studio album by the alternative rock band The Smashing Pumpkins, which is due for release on December 9, 2014. Like the band’s previous release, Oceania—the album will be part of the ongoing project, Teargarden by Kaleidyscope along with the next album “Day for Night”. The album is described as having an epic guitar sound. 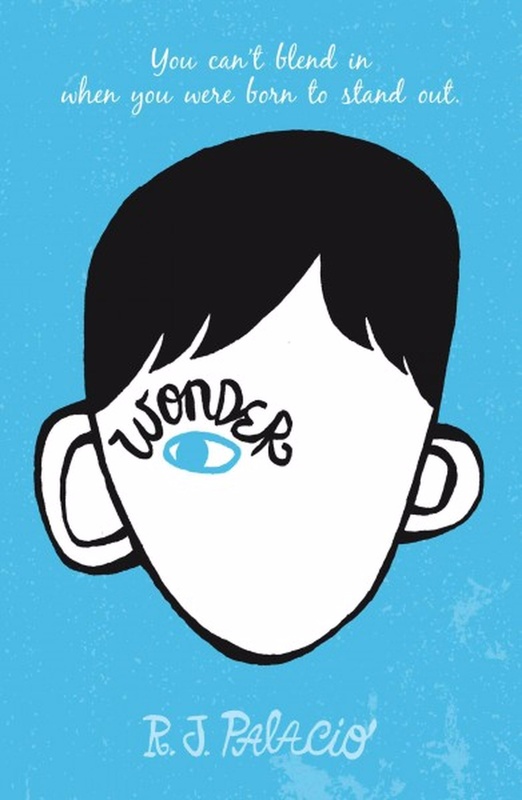 I would like to read Wonder by R.J.Palacio which features the trials and tribulations of a fifth–grade boy named August (Auggie) Pullman who has a rare craniofacial deformity. Due to surgical needs and emotional problems, August is home-tutored by his mother, (a children’s book illustrator) Until he goes to Beecher Prep School, where he meets the middle school director, Mr. Lawrence Tushman, along with Jack Will, Julian Albans, and Charlotte Cody, and quickly becomes friends with Jack and Summer Dawson and is invited to a Halloween Party. However whilst disguised during the Party He overhears Jack say that he would ‘kill himself’ if he had August’s face. After this August decides to quit school, but his older sister, Olivia (Via), eventually convinces him not to. Understandably August becomes noticeably distant towards Jack while working with him on a later Egyptian science project. Despite this He and Jack are then chosen by the science teacher to work together on the science fair. However Julian tries to get the science teacher to switch partners so he can be partners with Jack, but Jack declines.Then Julian calls August a freak, so Jack defends him and is suspended for two days. Julian’s mother defends her son saying that August should not be in the school anyway because Beecher Prep is not an inclusion school. Later Because of his unusual condition August has to get hearing aids and during a visit to a local nature reserve He has a run-in with a group of seventh graders. Luckily his friends Amos, Miles and Henry come to the rescue but sadly he loses his Hearing Aids during the the altercation. August’s challenging year is later acknowledged During the end of the year ceremony, by Principal Mr. Tushman Who discusses someone at the School who has accomplished something great during the year, and then reveals that he is really talking about August Pullman, Who then receives an award.